Task: to publish a revised and expanded map for visualizing touristic achievements. 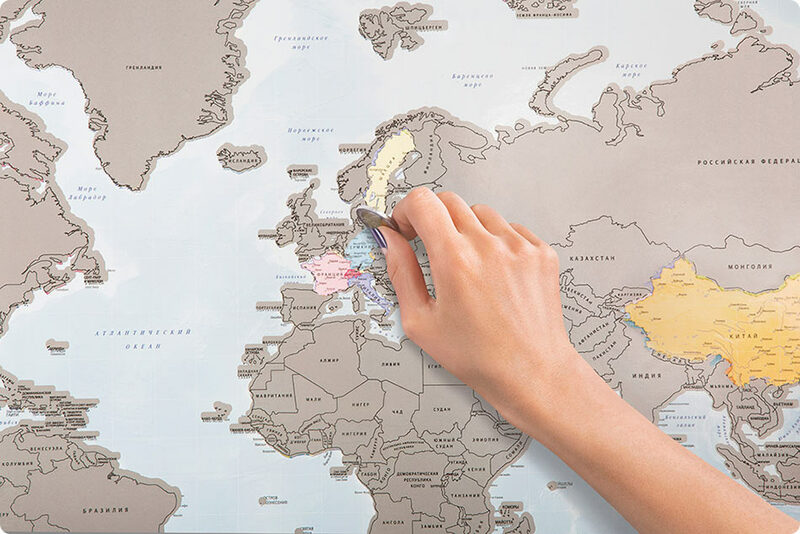 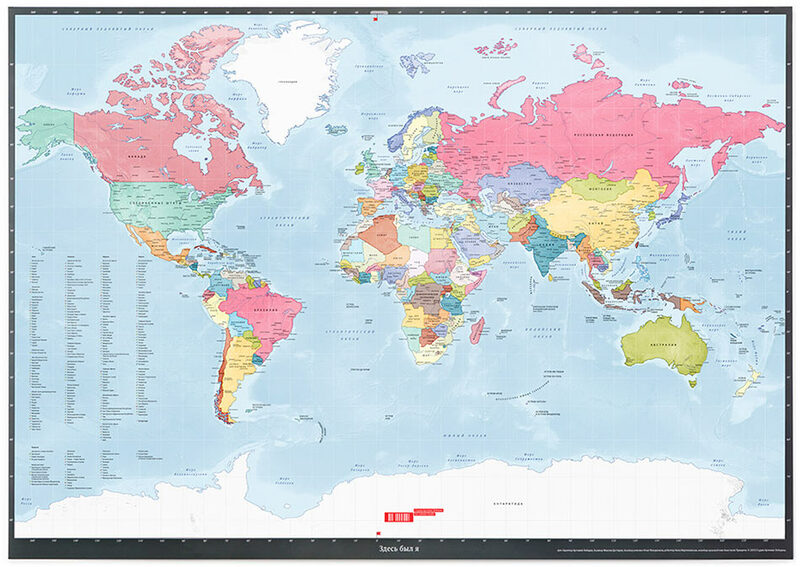 Special coating allows to easily mark visited countries: removing the top layer reveals a colorful world map. 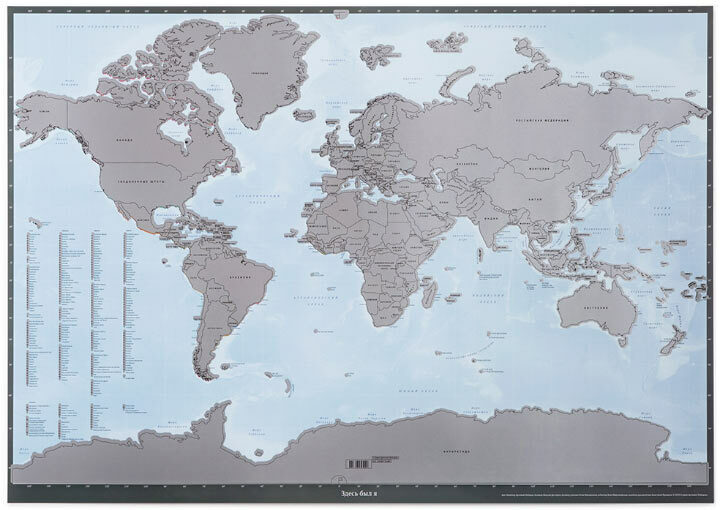 The map is printed on thick paper with glossy lamination, the countries are hidden under a layer of a beautiful silver paint that can be easily scratched off with a coin.